President Eisenhower (Republican) served two terms and was President from 1953 until 1961. 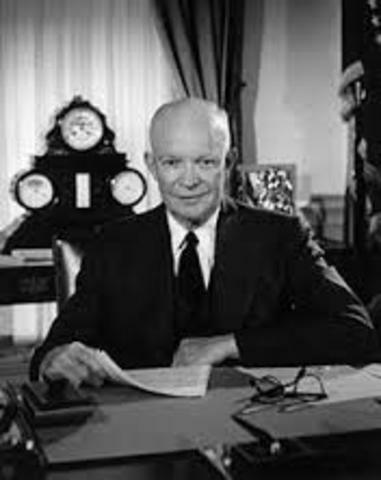 Before becoming President, Eisenhower was the Commander of the Allied Forces during World War II. His campaign slogan was "I like Ike" which was very successful and helped boost his popularity amongst the American public. Eisenhower is also known for sending the 101st Airborne to integrate Little Rock Central High School in Little Rock, Arkansas. 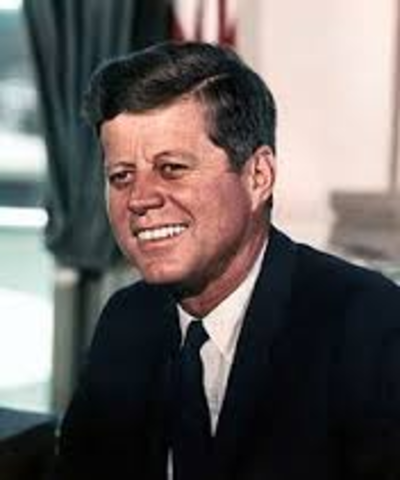 President John F. Kennedy (Democrat) served one term as President from 1961 until 1963 when he was tragically assassinated in Dallas, Texas on November 22, 1963. Before he served as President, he was a US Senator for the state of Massachusetts. He also presided over the Cuban misle crisis and ushered in an era of Liberal domestic policies. 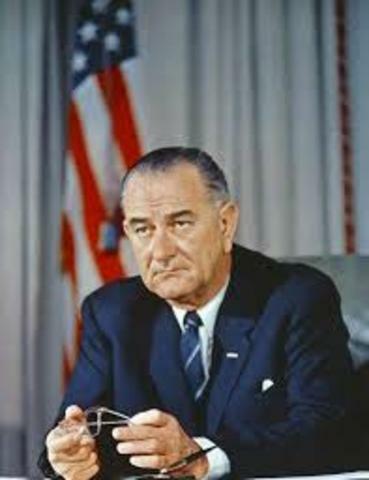 President Lyndon B. Johnson (Democrat) served as President from 1963 until 1969. He was sworn in to the Presidency when President Kennedy was assasinated and also served an additional term. President Johnson is best known for his passing of Civil Rights legislature, as well as his unpopular escalation and war policies regarding the Vietnam War. Because of this unpopularity he did not seek re-election after his term ended in 1969. President Richard M. Nixon(Republican) served as President from1969 until 1974. He served as President Eisenhower's Vice President for both terms, but lost the Presidential race to Kennedy in 1960. During his time as President he is best knwon for ending the Vietnam War. 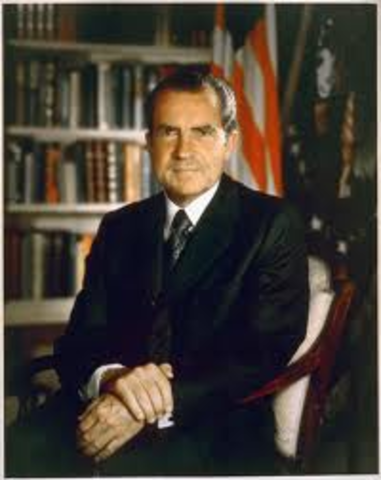 Nixon resigned in 1974 as a result of the Watergate Scandal. 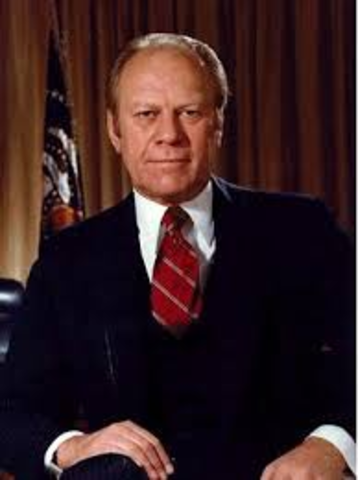 President Gerald R. Ford (Republican) served as President from 1974 until 1977. He was the first person to ever be nominated as vice president under the 25th Ammendment. As president, he eased the nation's minds and worries after the Watergate Scandal. However, he chose to pardon Richard Nixon for his activity in the Watergate Scandal, which inevitably hindered his popularity amongst US citizens and lost his re-election campaign. 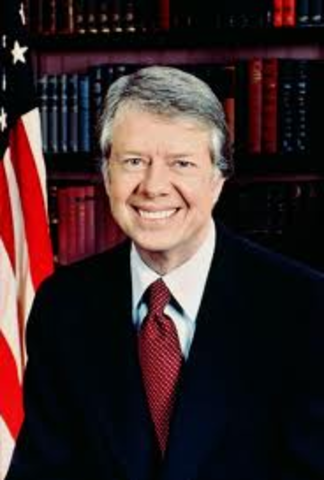 President Jimmy Carter (Democrat) served as President from 1977-1981. Prior to serving as President, Carter was a peanut farmer and the Governor of the state of Georgia. Although he was well liked by the public, many people viewed him as being unskilled for the Presidency. Despite this factor, during his Presidency Carter managed the Iranian hostage crisis and brokered peace between Egypt and Israel. He lost his bid for re-election in 1980. 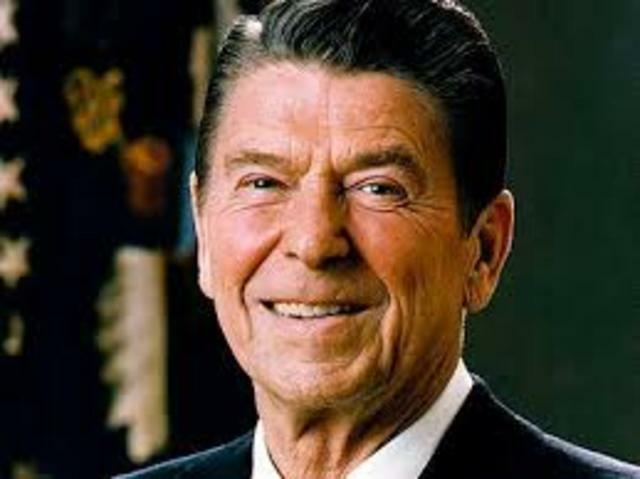 President Ronald Reagan (Republican) served for two terms as President from 1980-1989. Before serving as President, Reagan was a well known Hollywood actor. He was also the Governor of California. He was known to the American public as being a great communicator. During his Presidency he won a substantial tax cut for the American people as well as led the fight for a large decrease in defense spending. President George H.W. 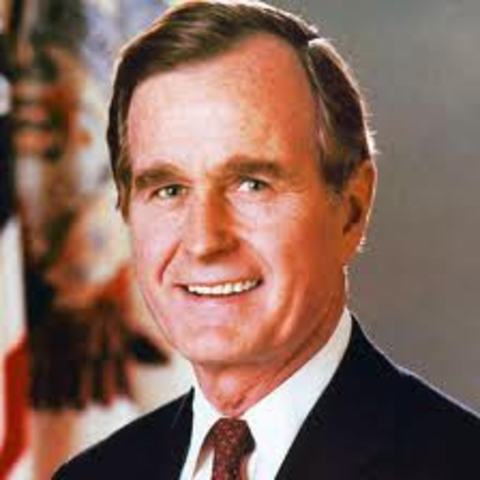 Bush (Republican) served one term as President from 1989-1993. Before serving as President he was the U.S. Representative from Texas, director of the CIA, and the Ambassador the the U.N. He also served as Reagan's Vice President for both of his terms. During his Presidency, Bush presided over the end of the Cold War as well as led the international coalition to a victory in the Gulf War. He lost his re-election bid in 1992. 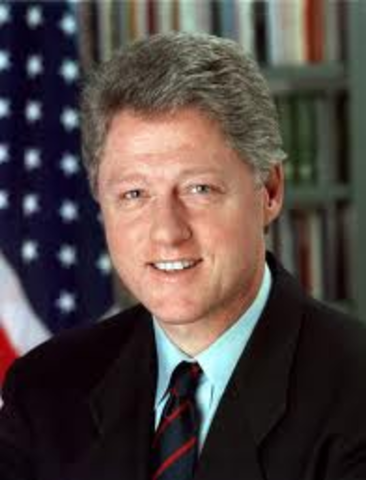 President William "Bill Clinton" (Democrat) served two terms from 1993-2001. Prior to his Presidency, Clinton was the Governor of Arkansas as well as a Rhodes Scholar. During his presidency he presided over a balanced budget and benefited from a strong economy. The end of his second term was marred by the Monica Lewinsky scandal. Because of this scandal, Clinton was impeached but not convicted. President George W. Bush (Republican) served two terms from 2001-2009. He is the son of President George H.W. Bush. 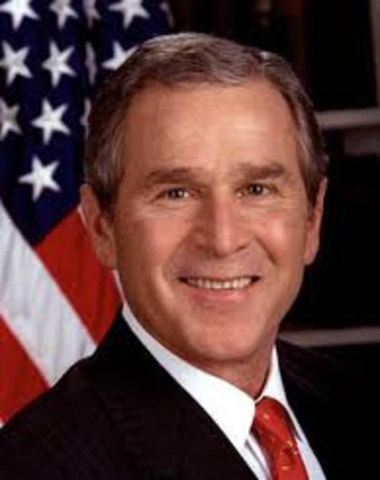 The beginning of W Bush's presidency began under controversary regarding the accuracy of the election's votes in the state of Florida, causing the announcement of who won the 2000 election to be delayed. During his presidency he won a large tax cut, established the Department of Homeland Security, and launched the war on Terrorism and Iraq. 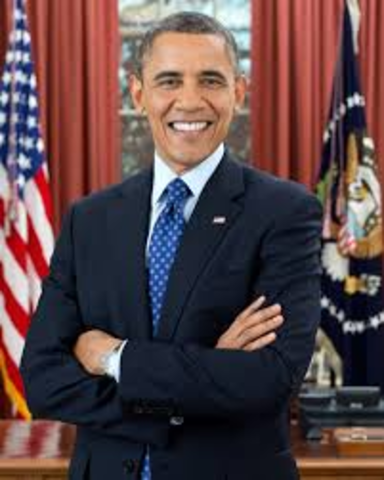 President Barack Obama (Democrat) has served one term and is currently serving his second term as President. He was the first elected African American President in our country's history. Prior to his Presidency he served as a Senator for the state of Illinois. Although his Presidency is not over, so far he has dealt with the financial crisis, continued the War on Terror, and passed the Universal Health Care Act.